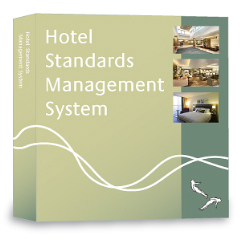 A Hotel-Standards Management System is a Building Information Model framework that holds information relating to any aspect of the design, build, fit out and operating process of a hotel. Typically this includes construction details, product specifications, guidance on locations, planning regulations, operational principles, design and branding guidelines and specifications for construction, fitting out and engineering services as well as data for existing hotels. Because you can control all your building specification data, the result is increased efficiency and reduced time to get on site leading to a genuine competitive advantage and greater profitability. Once built the information for each hotel project is easily available to speed and reduce the cost of repair and refurbishment as well as greatly reducing the expense of due diligence procedures when hotels change hands. Specification and other construction information is available through intuitive, easy-to-use menus. There are no confusing folders or cumbersome PDF files. All the elements of the model can be shared across all stakeholders according to their role in each specific project. Hotel-Standards Management System's online tools are simpler and faster than other methods of sending information between parties. Any document type can be uploaded in any file format (BIM formats, IFC, drawings, spreadsheets, letters, comments etc) and it is available to your project teams as soon as you have sent it, and you have the certainty that the information is available. And you will know that the information can cover the whole project lifecycle from feasibility and initial cost estimates through planning, design, specification, construction, completion and property management. Most importantly you are assured that your construction teams, from designers and architects through quantity surveyors and main contractors to subcontractors and suppliers have the correct information from the very outset of a project.